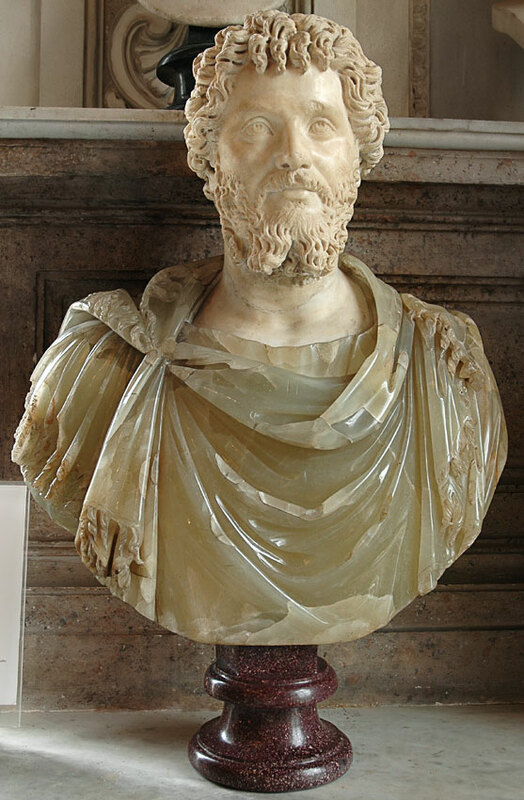 The head is marble, the bust is yellow-greenish alabaster. 200—210 CE. Gift of cardinal Alessandro Albani.